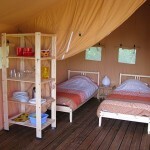 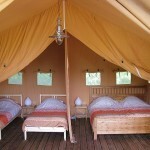 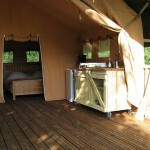 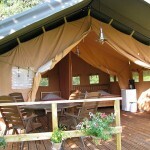 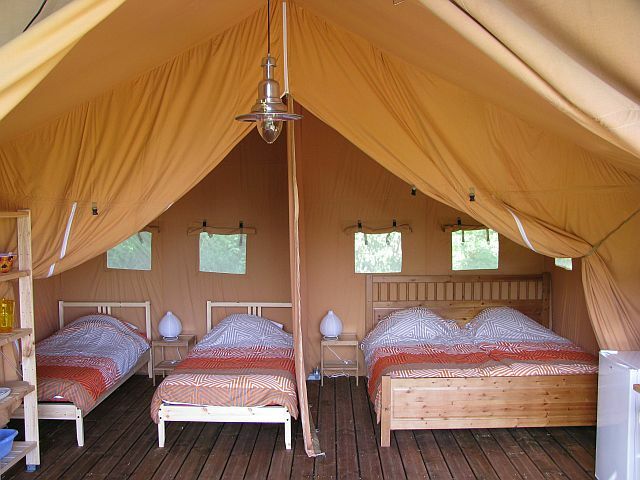 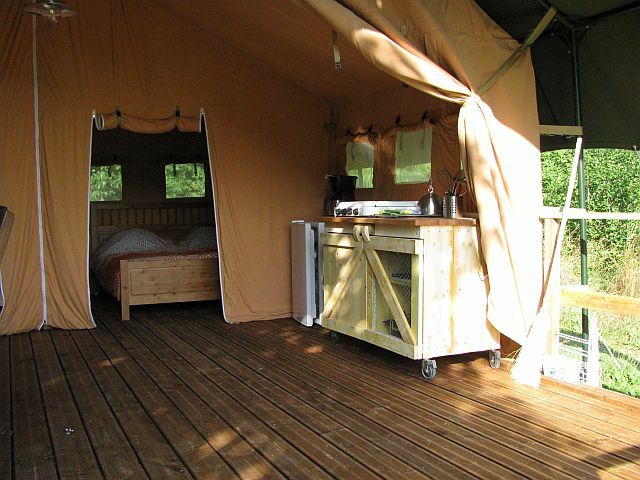 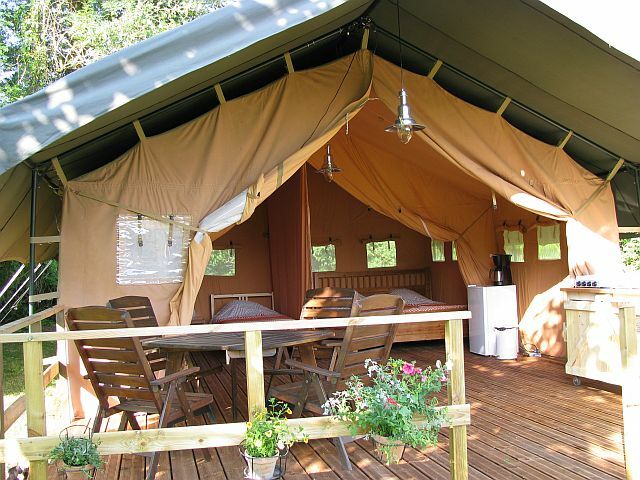 You can rent our Safari / Lodge tent. 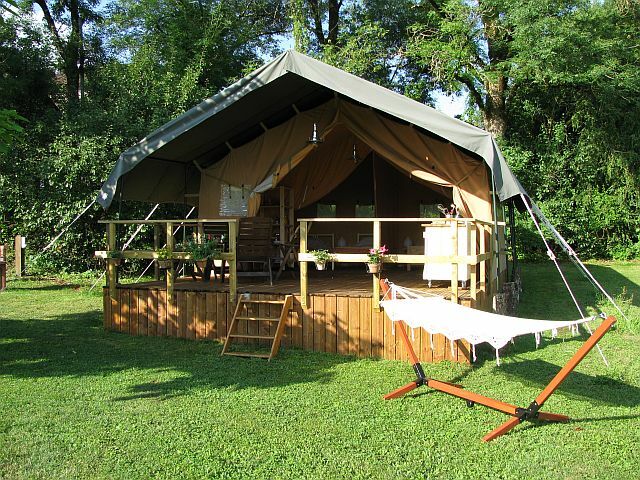 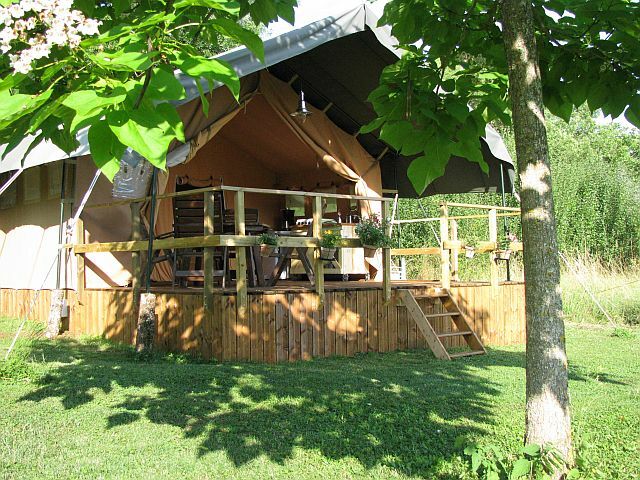 This tent has room for 4 people.You find the tent on one of our most beautiful locations. 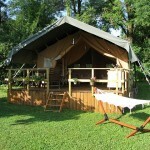 The tent is well equipped, and stand on a wooden floor. 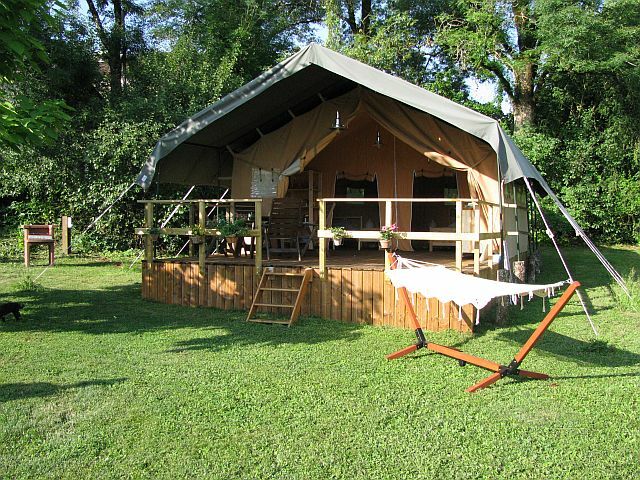 The tent has two bedrooms. 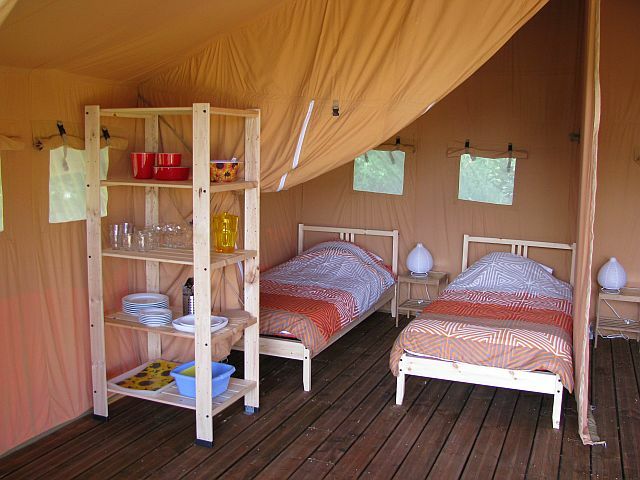 One with a double bed (140cm) and the other with two single beds (90cm). 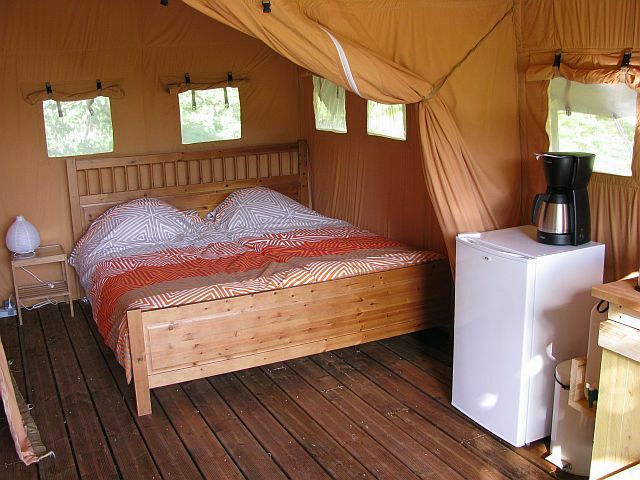 Bedding is provided. 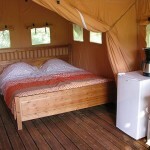 The tent is equipped with a kitchen unit with a refrigerator and a gas stove. 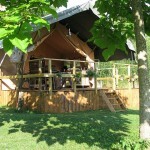 Outside you can relax on the terrace (partly covered) with garden furniture, a hammock and a barbecue.